This is a simple recipe to follow which gives excellent results, Spaghetti alla Pescatore is a popular choice in Italy where fresh seafood is abundant and can be easily bought in every town in the country however it comes out just as well by using a packet of frozen seafood which can stay in your freezer up to 3 months and therefore be on hand for a 30 min dish on the table just when you need it. I x packet of frozen mixed seafood – or make it more difficult 10 clams, 10 mussels, 20 calamari rings and 10 tiger shrimps! I added capers, anchovies and chopped garlic at this point and continued cooking. If you want a red sauce add your tomato sauce now. Add the chopped parsley and cover leaving sauce to simmer. It should cook for about 20 mins whilst you wait for the water to come to the boil and the spaghetti to then cook. Risotto has to be a kitchen staple in any Italian Housewife’s recipe book and once you have learnt to follow the basic recipe then you are set up for creating some of the most delicous risotto’s on earth. People seem to be put off from having a go as it seems there is a mysterious secret into getting it right. Well one tip is experience, the more you make the better they become as you get the hang of tending to the rice and gently coercing it to cook to perfection and of course the second tip is adding the stock gradually and not boiling the rice. In this short video I show you the very basic but delicious Asparagus Risotto simply because they are in season and I just had to eat some. To change recipe just substitute the asparagus with a vegetable of your choice, ie courgettes, radicchio, rocket. Other ideas to make delicious risottos are, saffron like Risotto Milanese – makes a beautiful orange colour, seafood, sausage and red wine. Cheese such as gorgonzola and some of the stranger additions strawberries, champagne, and nettles. The list is endless and if you’d like to add your favourite risotto in the comment section to be shared forever that would be wonderful! Have a look at my video and tell me how you got on! You can add creme fraiche, cream, cheese and many other rich tastes to enhance your risotto I have purposely left this one delicate and plain, Buon appetito! Bologna is the capital of the region Emilia Romagna, a region associated with excellent food (the Emiliani will argue that their cuisine is the true Italian cuisine), phenomenal wines, Ferraris, luxury lingerie (La Perla), UNESCO world heritage sites, Prada *sigh* and Parmesan cheese. The northern region of Italy, Emilia Romagna offers beaches, nature reserves, vineyards, valleys, mountains, medieval castles and Renaissance palaces but a stop off in the city of a Bologna is a must. I’ve been to Bologna a couple of times and on one occasion we were a group of friends on a day trip. We walked around the centre, one of the largest and best preserved historic centres among Italian cities. Bologna is characterised by porticos, or covered walkways that stretch out from the city centre for over 40 kilometers and taking in the museums, art galleries and religious buildings. We visited the market which was enormous and amazing and picked up lots of great bargains including clothes, shoes, food and jewellery. Bologna is also home to the oldest university in Europe dating back to the 11th century. << Fascinating fact alert! If food is your thing then the region surrounding Bologna La Grassa (Bologna the Fat) as the city is known has a labyrinth of food and wine trails where you will discover key producers, associated restaurants and museums dedicated to Parma Ham or Parmesan cheese. For salamis follow the Strada del Culatello, for cheese follow Strada del Parmigiano. Make sure to take in the Lambrusco wines, the Balsamic Vinegar originating from Modena, pasta especially tortelli and mushrooms. A personal favourite of mine is Mortadella, an enormous sausage, the meat is ground very finely and added to the mix with other ingredients are peppercorns, pistachios, coriander seeds and wine. Sliced as thin as paper and served in a fresh bread roll your taste buds won’t know what’s hit them! And of course, Bologna is the home of our favourite Bolognese sauce and any Italian will tell you, a proper Bolognese should only be served with tagliatelle. If cars are your thing then you are in the right place. Maserati, Lamborghini and Ducati are all based around Modena and Bologna, made locally and each with a museum to visit. I visited the shrine to speed Galleria Ferrari in Maranello and if you are in the area and fancy rubbing shoulders with Formula One drivers at dinner then book a table at Ristorante Cavallino. Bologna is ideal for a quick weekend city break or a longer holiday where you could take in Rimini, a buzzing Adriatic beach well worth a visit. 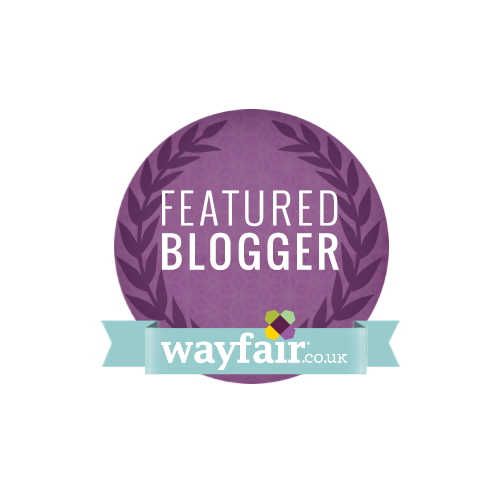 [yumprint-recipe id=’40’]Check out my 10 recipes to make with Bolognese sauce. 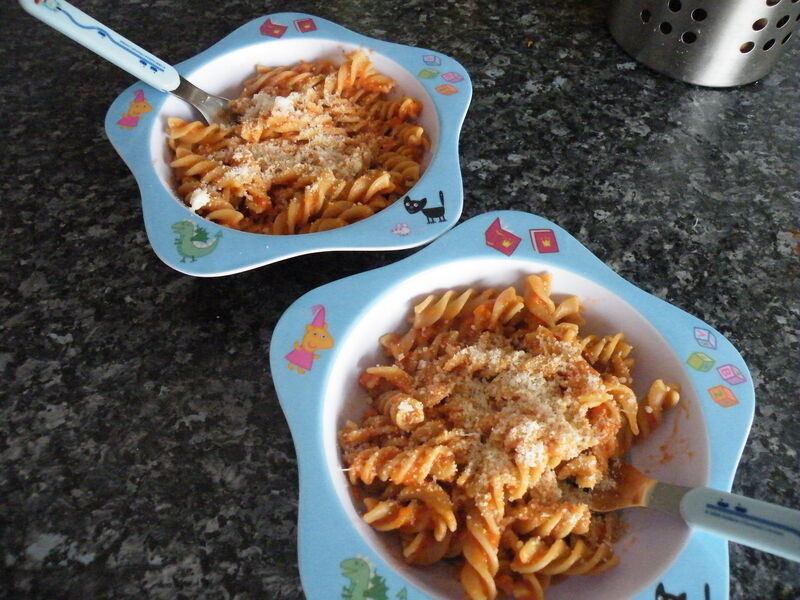 If like me you’re a mum on the run and always short of time here’s the second of my pastasauces that are child friendly and quick and easy to prepare take a look at the Tomato Sauce here. While the pasta is cooking I fried my cubed bacon off in a frying pan, I didn’t use any oil as on heating the bacon lets off some fat and water, enough to make sure it doesn’t stick and the meal is less fatty. Once cooked remove from the heat and wait for the pasta to finish, drain it and add directly to the bacon pan. Difficult to photograph whilst pouring my whisked egg and milk mixture on :) I’ve tried to sharpen the image as much as possible but you get the idea. Whisk up Pour your whisked eggs and milk mixture over the bacon and pasta. Mix well and take off the heat otherwise you’ll end up with scrambled egg on your pasta! The heat of the pan, the cooked pasta and bacon should be enough to cook the egg for it to bind onto the pasta. Serve into waiting bowls and dust with a sprinkling of parmesan. You’re ready to serve! 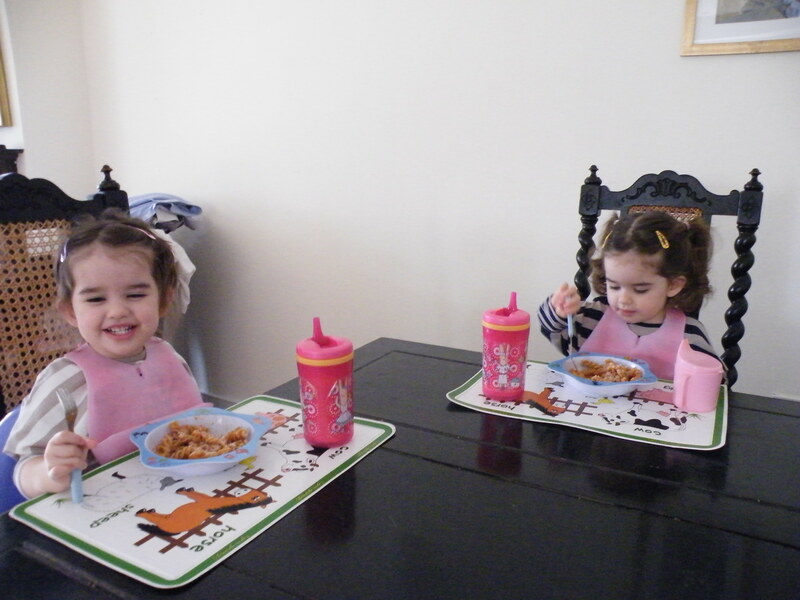 The proof is in the pudding as they say – here are my two happy customers and luckily I made extra for myself so no fussing around with different meals for me. A healthy and easy pasta dish that’s ready in 20 mins, time for the water to boil and the pasta to cook. …and not just pasta, it can be used for hundreds of dishes. 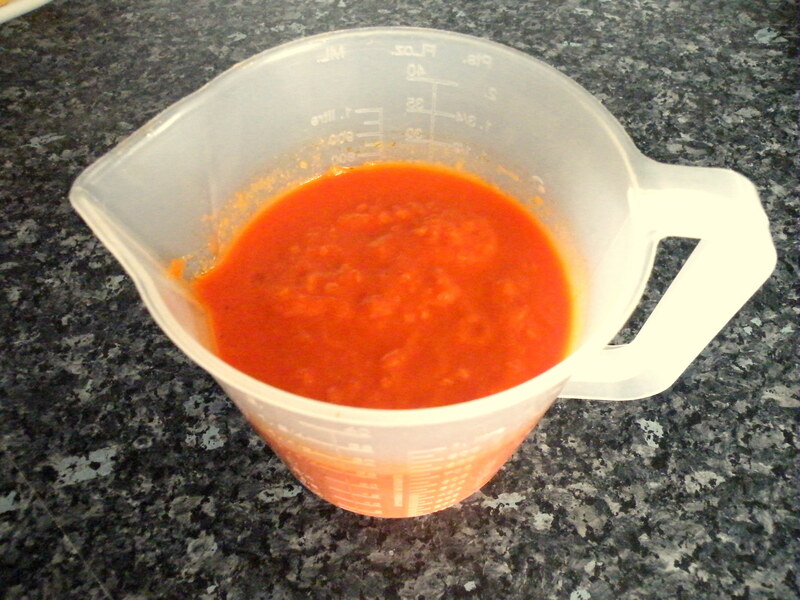 This is an easy tomato sauce recipe, a kitchen basic to learn off by heart and adapt as you go. Being a busy mum I always get to about 11.30am and think uh-oh they’re going to be hungry any time now. My usual lunch menu involves pasta – 1. they love it, 2. it’s good for you and 3. it can be served in a million different ways. 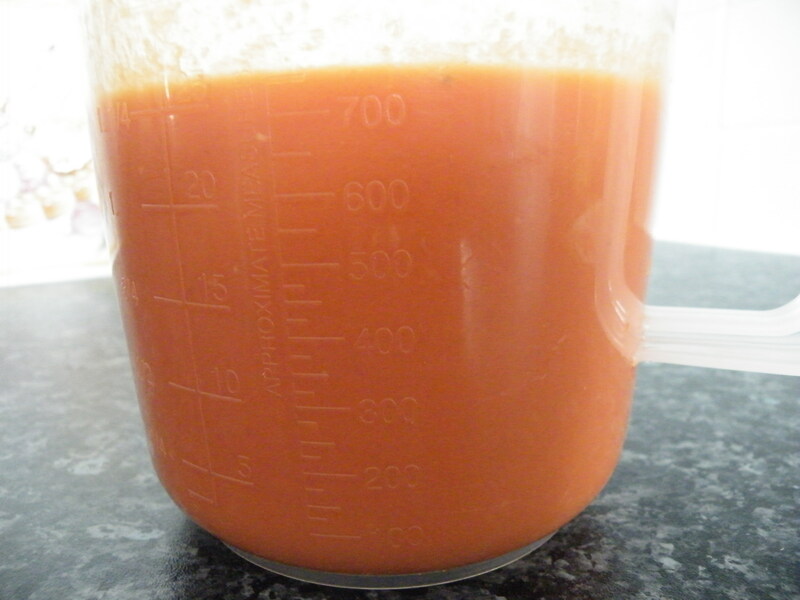 I do have shop bought tomato sauces in the cupboard as sometimes I am in a hurry and they come in handy however I also make my own which can be varied. If I want to increase the girls vegetables, I’ll add a few to my sauce and blitz it all up before serving on pasta, sausages, meatballs…even with fish. Heat the oil in a large saucepan add the onions and garlic and cook over a low heat stirring frequently until they are soft. Important they are soft otherwise they’ll be ‘crunchy’ in your sauce. Add the tin of tomatoes (you can use fresh tomatoes in the summer), puree, stock, mixed herbs and seasoning. If acidic add a tsp of sugar. Bring to the boil, lower the heat and simmer for 10-15 mins stirring occasionally. Can be served as it is or can be blitzed for a smoother consistency. Serve on pasta with grated parmesan. Vegetable sauce – add your vegetables (carrot, courgette, celery, broccoli etc) chopped up very finely or grated after softening the onion and allow extra cooking time to soften the vegetables. I find using a lid helps to keep the moisture in which in turn softens the veg more. Tuna – ‘al tonno’ – after adding your tomatoes, puree, stock etc add also a can of drained tuna to the sauce and allow the same cooking time as the basic recipe. an anchovy or two chopped up finely adds a delicious taste too. Salmon – ‘al salmone’ – I use the salmon trimmings which can be found in large supermarkets. Again add at the end of the cooking process and serve. Bolognese – Minced beef, fry off in a pan and add your sauce to make as ‘wet’ as you please, allow to cook for 30 mins so as to draw out the taste of the mince. I have also tried this with turkey mince for the girls and they love it! Sausage casserole – grill off your favourite sausages leaving the fat to drip out. Pop your sausages into a pan and add sufficient sauce to cover. Simmer over a low heat for 20 mins and serve with mash. Chilli con carne – Cook off your minced beef, sprinkle with a tbsp of chilli powder add the basic tomato sauce , a tin of kidney beans and cook over a low heat for 15 mins. Serve with boiled rice. Meatballs – grill or bake the meatballs to allow the fat to drip out. Add to your basic tomato sauce and cook for 15 mins. serve on pasta, with rice or with potatoes.